The qualifier Match Play format will be 5 rounds of 4 player’s games (scored 7/5/3/1). 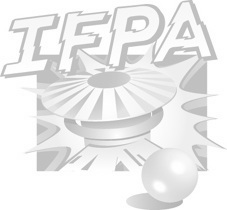 In the first round players will be seeded by IFPA ranking and will play an "adjacent" round (player of similar ranked playing together). Subsequent round will be played using a "balanced" match up (not Swiss) so everyone would 'likely' play each other. At the end of 5 rounds, the 8 players with the highest amount of point will move on to the top 8 round (semi-finals). Only significant tie breaker for 8th spot will play a game, other ones will be done automatically. Final rounds will use the Multi Play format, Each of the two 4 player group in the semi-finals will start a 4 player game on a bank of 4 contiguous machines (Scored 3/2/1/0). Group seeding will be done using standard (1/4/5/8 and 2/3/6/7). At the end of the round of Multi-Play the TOP 2 players of each group will move into the final 4. Top 4 finals will be played using the same principle as above with one group of 4 players starting 4 four players game to decide final ranking. Start @ 8:30PM, $10 buy in.